Get to know April of What April Wore and get some of her fashion advice, trends, and of course, some of her beauty secrets. It’s been awhile since we brought you a fashion blogger spotlight, but today, we are back on track with April of What April Wore. If you missed our last spotlight, don’t forget to catch up with Tami of Talking with Tami. Today’s Bronx-based beauty is a professional makeup artist AND, like me, a paralegal! What April Wore offers tons of positive fashion advice, helps break down the trends, and of course, shares some of her beauty secrets. 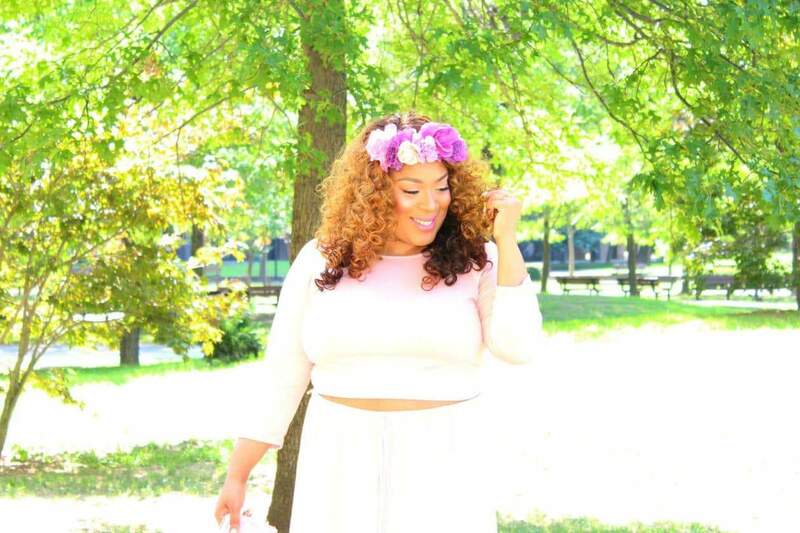 April is a plus size blogger YOU NEED TO KNOW!!!! Meet April of What April Wore!! I‘ve always gotten questions on where to shop, what makeup to buy, what hair I’m wearing or products I’m using, so I decided to compile it all in blog form. I’m also inspired by a lot of plus fashion bloggers. At the present moment, I blog as a hobby. Hopefully, one day it will change. I love my legs. I most often wear skirts and dresses to show them off and pair them with any form of a heel to kick it up a notch. Plus size clothing can be tricky. It’s not located everywhere. I more often than not order my clothes online because I feel I get more variety. I wish there was more variety in stores. Being able to share my view on fashion and beauty… I like giving my perspective. I think my style is a blend of Southern- belle meets NYC. I tend to love matching accessories to shoes like Southern belles often do but love to try funky pieces and hats with mixed pieces as well. So, I’m a mix between the two. We have so many more options. And the fashion is no longer frumpy and muted… We actually can find swimsuits and crop tops and other pieces that used to only be available in straight sizes. I honestly don’t hear any myths. Plus size clothing has changed so much. My Instagram handle is @aprilantoinette! Be sure to check out April’s Blog at What April Wore! Do you dig the style of What April Wore? Which look is your fave? Let’s talk about it below!! Yes!! April!!! Congrats on your feature. Omg. Thank you for the feature!! !